Aluminium does not like extended exposure to water and other liquids (vinegar, oil etc.). This means that all aluminium items exposed to water (liquids) should then be washed or rinsed after use and then thoroughly dried. Dry foods, such as fruit, vegetables, nuts, etc. require very little maintenance. These food stuffs can be left for extended periods with no more than an occasional wipe down. Vases do not require any more than care to avoid surface water sitting on the outer surface of the vase. The inner surface which is not visible will discolour but this has no detrimental effect (other than discolouration) to the aluminium. Never place aluminium products in a dishwasher as the special dishwasher liquids/powders are very harmful to the aluminium. Warm soapy (normal dish washing products) water and a non scratching pad should take care of most cleaning situations. Be sure to thoroughly dry immediately after washing to avoid spots or discolouration. Polished aluminium may develop a soft patina over time and lose some of its shine. To restore (or maintain) the polished finish a metal polishing product may be used to buff the surface. There are various products available to do this. Most of these products will provide a moderate degree of cleaning and or surface restoration. To remove scratches and some more serious discolouration we recommend the use of a stronger cutting compound such as "Autosol". This is a paste that is applied with a soft cloth and then polished off. The polishing cloth will go black as it cuts through the surface aluminium. 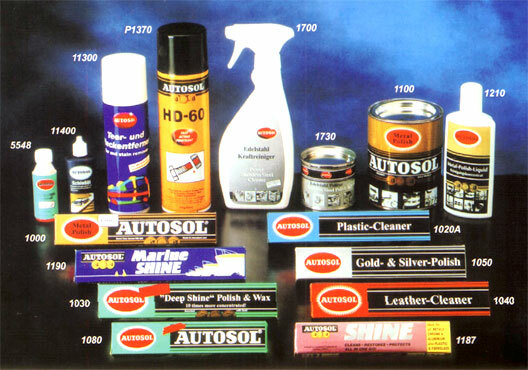 "Autosol" can be available at many hardware and auto supply stores and is very effective. There are other similar aluminium and metal polishing compounds that will provide a similar result. SUPER FINE HANDICRAFTS uses lead free high quality ingots for manufacturing Table ware Items which are food safe . www.cathaymotor.comPlease contact the manufacturer directly.